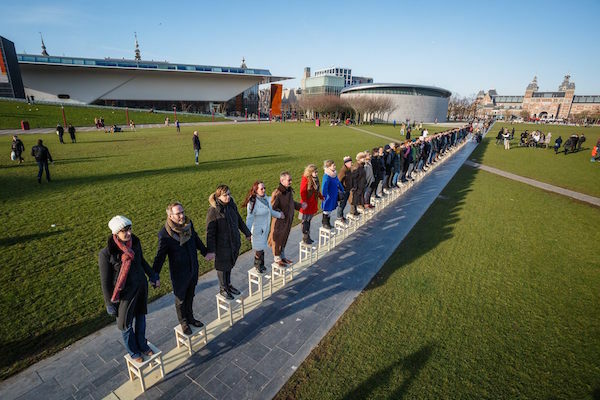 Exactly one week ago – on Saturday February 27 – 65 participants performed Elena Kovylina‘s artwork Égalité on the Museumplein in Amsterdam. It was a beautiful and impressive performance, for the participants, audience members, and us as organizers from ArtWorlds alike. After previous editions in St. Petersburg, Moscow and Paris, the performance in Amsterdam was a wonderful addition to Égalité’s existence, since its first edition in 2008. You can find a short report (in Dutch) on the website of ZomerExpo and a photo-album with amazing pictures by Hilko Visser on the ZomerExpo Facebook page! 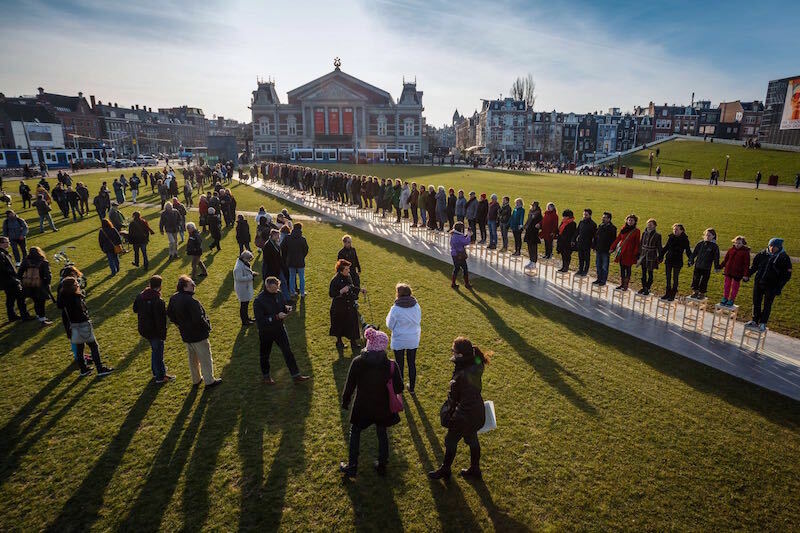 Photos: (c) Hilko Visser/ ArtWorlds.